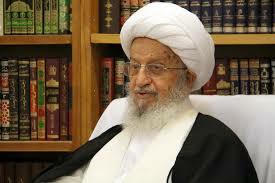 SHAFAQNA – The Grand Ayatollah Makarem Shirazi answered a question about performing Salaat in dangerous places. Question: If a person is in a place where there is a probability of ceiling coming down, or in danger of flooding, or landslide; what is the ruling on staying and performing Salaat in such places? The Grand Ayatollah Makarem: Staying in such places is Haram, and must not perform Salaat, and if Salaat is performed in those places, the Wajib precaution is to repeat it.